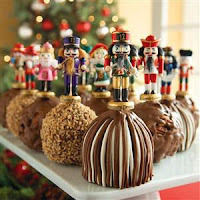 Did you know that the 12 Days of Christmas are traditionally celebrated from December 26 - January 1? And, have you ever wondered how the song The 12 Days of Christmas came to be? Though I don't celebrate Christmas myself, I was curious about the song, so I decided to do a little research. First, I read some of the false claims circulating on the Internet as to where this song is thought to have come from, then I found a reliable source which I confirmed on Snopes.com and is according to Phil Hamilton, who checked it out with the Austin (Texas) Public Library research department. 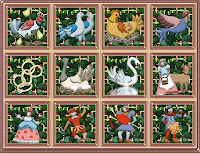 In the book Twelve Days of Christmas: A Celebration and History, by Leigh Grant, it says the words to this humorous melody appeared for the first time in another book Mirth Without Mischief (published 1780-1783 in England) that describes the song as a "memory and forfeits game" played by children. The game worked like this: the leader recited the first verse, then the next kid said the second verse, the next child, the third, and so on, through the 12 verses, until someone missed his/her verse and had to pay sort of game "penalty." 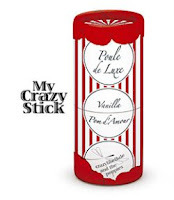 Now, enjoy this 2009 MommyBlogExpert Gift Showcase inspired by that zany song! 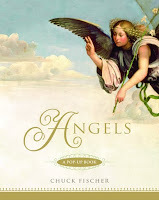 Angels-A Pop Up Book, $30, by Chuck Fischer, is an exquisite, but delicate, pop up book that art loving adults and angel enthusiasts alike will appreciate, but that older children can enjoy, too, under a parent's watchful eye. With gilded and brightly colored page layouts of Fischer's original art inspired by art history and paper engineered by collaborator Bruce Foster, the angels in this book literally rise off its flat pages, appearing almost as if soaring toward heaven. View the video to see the dramatic pop up action in this book here. New in October 2009, by Hachette Book Group . Available nationwide. These wonderful 12 Days of Christmas themed gift ideas and the Angels pop up book are just the tip of the iceberg of real finds this season. Keep reading this post to see the rest of MommyBlogExpert's picks for the best of this year's Christmas gift ideas for everyone on your list. Lone Cone Toffee, 1 lb/$21, 2 lbs/$36, made in small batches using a 75-year old recipe with only the purest all-natural ingredients which means no preservatives or additives. Based on the samples I received from Lone Cone, these toffees (Original Butter Almond, Peanut, and Coffee flavors) were packaged well and tasted rich and fresh, like home made. 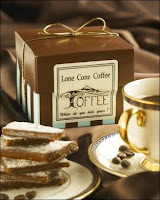 I'd be hard-pressed to pick a favorite since everything was excellent, but if you forced me to choose I'd say Lone Cone Coffee Toffee would be the perfect gift for that java lover on your list. Available online at LoneConeToffee.com . 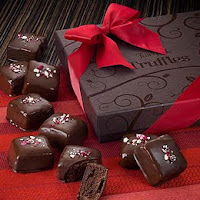 Watch for details about a giveaway of some samples of these toffee on MommyBlogExpert's holiday sweepstakes soon. 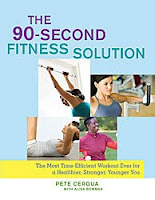 The 90-Second Fitness Solution, $16, by Pete Cerqua with Alisa Bowman now in paperback, quite possibly could be the answer to us women who are so busy with work and/or family that we don't have time to even think about going to the gym. With all the eating, drinking, and relaxing during the holidays, I'm looking forward to trying this book out for myself right now, to head off any holiday weight gain. Doing short 90-second sets along with the simple meal plan in this book, this program might work for me and my mommy blogging lifestyle. From Atria Books/Simon & Schuster. Available nationwide in bookstores and online. Watch for a full book review later after I've tried this out for several months. Living Life as a Thank You, $15.95, by Nina Lesowitz and Mary Beth Sammons, is a self-help and inspirational book that is in tune with the holiday spirit that we all wish would be carried out throughout the rest of the year. From chapters such as: Staying Thankful in Difficult Times, to Finding Grace and Wisdom in Goodbyes, to Putting Gratitude Into Action, this book is guide to living life built on a solid base of thankfulness and appreciation. From Viva Editions. Available nationwide in bookstores and online. 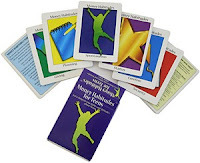 Money Habitudes For Teens, $14.95, is a card game that incorporates contemporary graphics and teen-friendly language to provide teens with a hands-on activity to begin to talk about effective money management and how to make the right financial decisions. The game can be used in a family setting, in the classroom, or in discussion groups as a stand-alone activity or in conjunction with high school courses such as financial literacy and life skills. Available online direct from Money Habitudes. Watch MommyBlogExpert for an in depth product review of this item once our own family has tried it out. 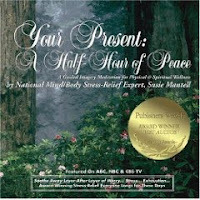 Your Present: A Half-Hour of Peace, $14.95, from Relax Intuit, makes it possible for you to give the gift of a 30 minute audio CD by national mind-body stress-relief facilitator Susie Mantell that has the potential to relax the recipient whenever they listen to it, whether a beginner or seasoned meditator. And, according to the company's website, this Publishers Weekly Award Winner for Best Audios may also help soothe sleepnessness, depression, and grief too. 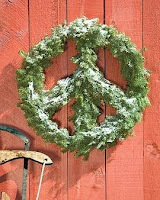 Who doesn't need a half a hour of peace during the hectic holiday season? 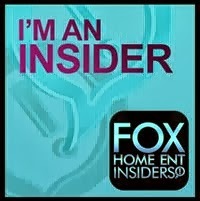 Available from Relax Intuit.com. The Marriage Manual, $19.95, by BJ & Laurie Woodard, is another book couples should read that gives valuable advice on how to build a foundation that supports a fulfilling and lasting marriage for both of you. 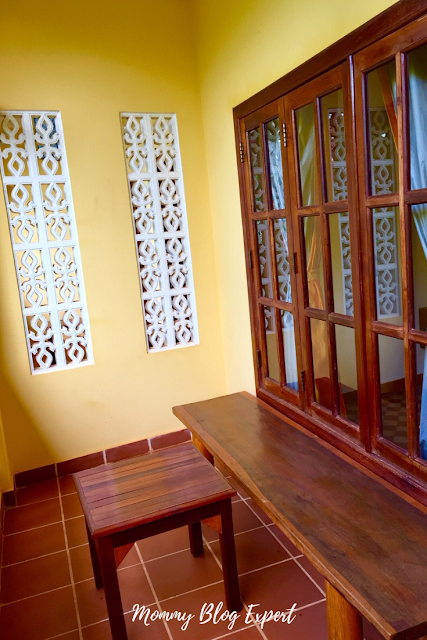 There's sections for guys and gals and among other things, you'll both learn about the bad habits couples almost always fall into and some easy ideas to identify and change these behaviors. Available direct from The Marriage Manual . 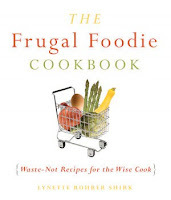 Watch for details about a giveaway of this book in MommyBlogExpert's holiday sweepstakes soon. 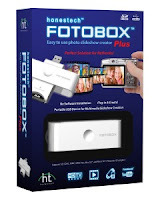 Honestech Fotobox Plus, $79.95, is a NEW easy to use portable USB device for multimedia slideshow creation from Honestech. Compatible with Windows 7, no software needs to be installed and the user can choose to work in easy mode (for newbies) and advanced mode (for customization) to efficiently convert a slideshow to DVD or other formats such as iPod and YouTube. 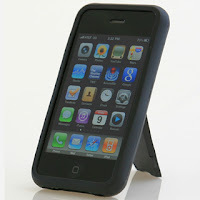 Watch for an indepth product review of this item after my 14 year-old son has tested it. 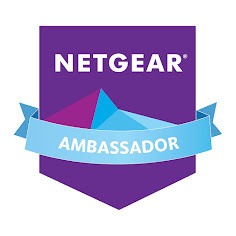 Available direct from Honest Technology and at major retailers nationwide . 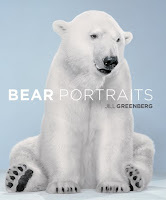 Bear Portraits, $26.99, by Jill Greenberg, is a book by a talented advertising photographer who captured wild beasts like these for a major Animal Planet ad campaign. A good choice of a coffee table book for both avid outdoorsmen and those guys who are National Geographic - style easy chair animal enthusiasts . At first glance flipping through the pages, many portraits might appear unreal, as in bears that have visited the taxidermist. However, what is shocking after looking at this in more depth, is that these extremely expressive bears were photographed alive and up close, with the help of animal trainers and Greenberg's wizardry with cameras and lighting. Having seen plenty of stuffed bears in museums, as well as also encountering several black bears and one grizzly on three hair-raising hikes in the wild myself, I can assure you that Greenberg's images definitely capture the real thing. Published by Hachette Book Group. Available nationwide. 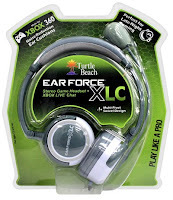 Watch for MommyBlogExpert to add this item to the other prizes to be given away here through January 11, 2010. 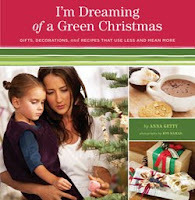 I'm Dreaming of a Green Christmas, $24.95, by Anna Getty, is not only a craft book to make things using natural and recycled materials, like the Tea Bag Christmas Ornaments. It's also filled with ideas on how to save energy at home plus a list of resources for living greener. Available online direct from the publisher Chronicle Books and nationwide in bookstores and on the Internet. Stylish Fold Up Reusable Shopping Bag, $8.95-$9.95/1 bag; $39.95-$44.95/5 bags, by Goody Green Bag. Comes in lots of fun prints such as the Dottie Uno style in chocolate brown with pink dots shown here in two handy foldable sizes with velcro closures: Uno - 18.5" x 15" x 2.75" and Due - 16" x 18" x 6", both with 24" handles. 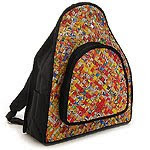 Reusable bags that can handle up to 30 pounds in weight don't have to be drab -- read more about what makes these bags in trendy patterns so special here. Available online from Goody Green Bag and in select stores in the U.S. 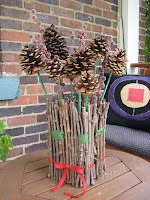 Win this item in MommyBlogExpert's Giveaway Sweepstakes here through January 11, 2010. Christmas Cookie Home Fragrance, $5, by V'Tae, is a 3 oz non-aerosol pump bottle which smells just like grandmas's house when she's baking Christmas cookies. 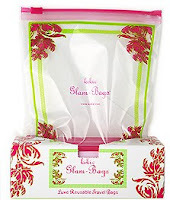 Who wouldn't want this home fragrance permeating every room (and maybe even the car) this holiday season? 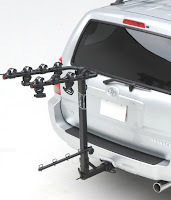 Available at Nimli.com which is also having a great end of season sale right now. WIN this item ENTER MommyBlogExpert 's GIVEAWAY now HERE through January 11, 2010. Apple Cinnamon & Limited Edition Bayberry Scented Oil Candles, MSRP $3.49, from the Glade Candles Holiday Collection. These smell authentic and fresh and either scent is good for both holiday entertaining and quiet evenings at home. A lovely idea for a stocking stuffer or a gift for yourself or a friend. Available now through December at supermarkets and mass merchandise, drug and retail stores such as Target, Walmart and more. 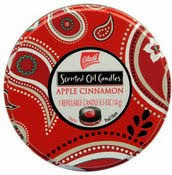 Glade's Apple Cinnamon Scented Oil in Decorative Tin is pictured. Watch for an in depth product review soon about the various Glade candle collections on the market now and all year long. Watch for MommyBlogExpert to soon add a few Glade products to the other prizes being given away during the Holiday Contest here through January 11, 2010. 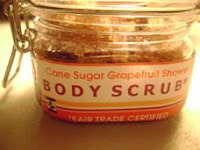 Cocoa Cane Sugar Preserve Body Scrub, $10-$20, is Fair Trade Certified and comes in sizes ranging from in size from 3 to 12 ounces. Of all the natural ingredients it is made with, the cocoa, coffee, and brown sugar aromas stood out the most when I smelled the sample I received and I look forward to trying this out. Also available in Grapefruit Shower Scrub, pictured here. Fair Trade Certified means that a fair price has been paid to farmers for the produce needed to make these scrubs which come in your choice of recyclable PET plastic containers or hinged reusable jars. Available online from Generationsspa.com , a company known for its natural body care products. 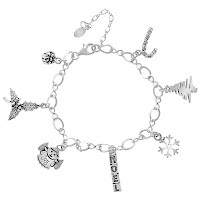 Customized Sterling Silver Christmas Bracelet, $53.51, Charm Factory bracelet with charms as shown, incl shipping. Choose to have this made exactly as shown or design your own with any of this company's 100s of other unique charms. Charms also sold individually for less than $5 each. Available directly from the CharmFactory.com . Win this bracelet or one of the other prizes MommyBlogExpert is giving away NOW by entering this contest here through January 11, 2010. Kindle 2 Slip Case and Camera Travel Case, $27-$39, from Waterfield Designs, are two specially-designed cases meant to protect Grandma's new Kindle 2 and Grandpa's new digital camera. Made in San Francisco with superior workmanship and attention to detail is what makes both of these items stand apart from the others and well worth the price. 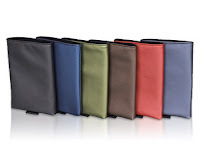 The Kindle 2 Slip Vertical Case shown is well-padded for everyday use, measures 5.4" x 8.3" x 0.4" and is also available in a horizontal style, but either way this gift comes in the choice of the colors pictured. Watch for MommyBlogExpert to soon add this item to the other prizes being given away during the Holiday Contest here through January 11, 2010. A Life Well Read, $29.95 , offers the recipient a "personal journey through books." This unique gift for book lovers includes a beautiful keepsake storage box filled with everything needed to keep track of their beloved books: those lent out, those with favorite quotes, those to be re-read, or titles to be given as gifts. From D&D Creations. Available direct online from A Life Well Read. 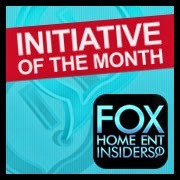 Win this item in MommyBlogExpert 's Contest here through January 11, 2010. Bookswim.com, $9.95/month, is another good gift idea. It is the only hardcover and best seller book rental subscription service available today offering both hardcover and best seller loans. Billed as a "Netflix-style" program for book rentals, members can easily borrow books and have them shipped directly to them. I think this might have special appeal to ill or older people as well as those who are not able to physically to get to the library or a bookstore to hang out and read. 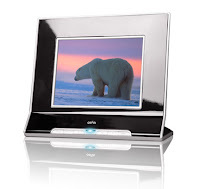 CEIVA Pro 80 Digital Photo Frame, $179, is another thoughtful gift for grandparents. It comes with 1-year PicturePlan photo delivery service included. This is a great way for you to send photos of you and the grand kids over the Internet directly to them to view on this digital photo frame. The best part is no computer is required at their end to receive pictures. No technical knowledge is required either, for them to use this once you help them set it up -- since photos can delivered to this nifty gadget wirelessly or over a regular phone line. Available online at The CEIVA Store and at select retail store chains such as Best Buy and Samy's Camera. WIN one free, by entering MommyBlogExpert Giveaway through January 11, 2010. 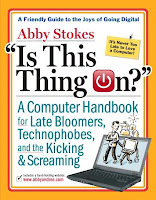 Is This Thing On?, $15.95, by Abby Stokes, is yet another gift for the technologically challenged that grandparents might appreciate. As the press release about this book points out, fewer than 31% of seniors 65+ have ever been online and almost one-third of baby boomers (now age 50 - 64) have never surfed the Internet. This book is written to fill the needs of newbie extraordinaires who did not grow up with computers and helps readers do things many of us take for granted such as how to choose and set up a computer at home, how to sign up for Internet access and receive and send email, and how to do a Google search. From Workman Publishing Company. Available direct from the publisher and nationwide. Watch for an in depth review on this book soon. The Internet Mommy, $12.95, by Kimberley Clayton Blaine, is a good read that any mother who has an Internet-based business or is a blogger might relate to. A series of essays are shared, both funny and serious, in this book written by Kimberley and more than a dozen of the most successful moms with an Internet presence today. My daughter and I were thrilled to have the chance to meet the author at the book launch in October 2009. Available on Amazon here. 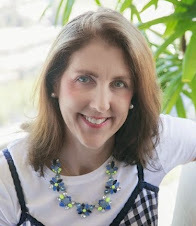 Learn more about this talented author at The Internet Mommy . Watch for an in depth book review soon. See Mom Run, $12.95, by Beth Feldman, appeals to an even wider audience of women with funny essays written by and for the most harried moms on the planet. Included are a collection of stories, many which will make you laugh, gathered by Beth, founder of RoleMommy.com. The vignettes featured are written by some incredibly talented women, including authors, mom bloggers, TV producers, parenting experts, entrepreneurs, and even a retired senator. Available nationwide in bookstores, on Amazon, and direct from See Mom Run. Watch for an in depth book review on this blog later. Vintage-Look Christmas Handmade Gift Tags, $2/10 tags, are just the touch you need to accent all the presents you will probably be wrapping. 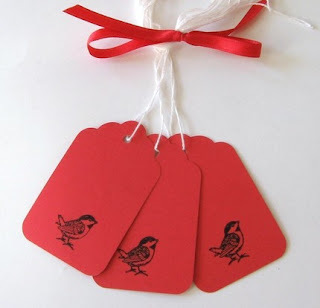 In addition to the hand-stamped tags shown here, this company makes hand stamped holiday stickers, one-of-a-kind gift tags and offers digital downloads of collages made from old greeting cards. Available online direct from Petite Paperie. FTC Disclosure: For this holiday gift showcase, Mommy Blog Expert received the products and/or services from companies mentioned for test, review and/or to giveaway to this blog's readers. Exceptions: No products and/or services were provided by The Twelve Days of Christmas (song), Twelve Days of Christmas: A Celebration and History, Mirth Without Mischief, Snopes.com, Arch Angel Institute, Manhattanite, Someone Spoil Me, Trumpette, Twelve Days, Mrs. Prindables, Fairytale Candy Cane Truffles, gPurse.com, Grapefruit Shower Scrub, and Bookswim.com . MommyBlogExpert was neither paid nor received other compensation from any company mentioned in this post. See complete FTC Disclosure information that appears at the bottom of MommyBlogExpert's main page and at the bottom of every individual post on this blog, including this one. Great list of holiday gift ideas! Thanks for the hard work and the heads up for "Is This Thing On?". (Full disclosure, I'm the author.) Merry Christmas to all! I love this gift showcase its so adorable good that you shared this. Keep posting! Flowers are the gifts that say so much without saying a word. Mother's day flowers are a way of showing a mother that she is appreciated for, all that she has done, and put up with over the years. Buying and gifting flowers on mother's day, conveys the message of love and appreciation, children have for their mother.